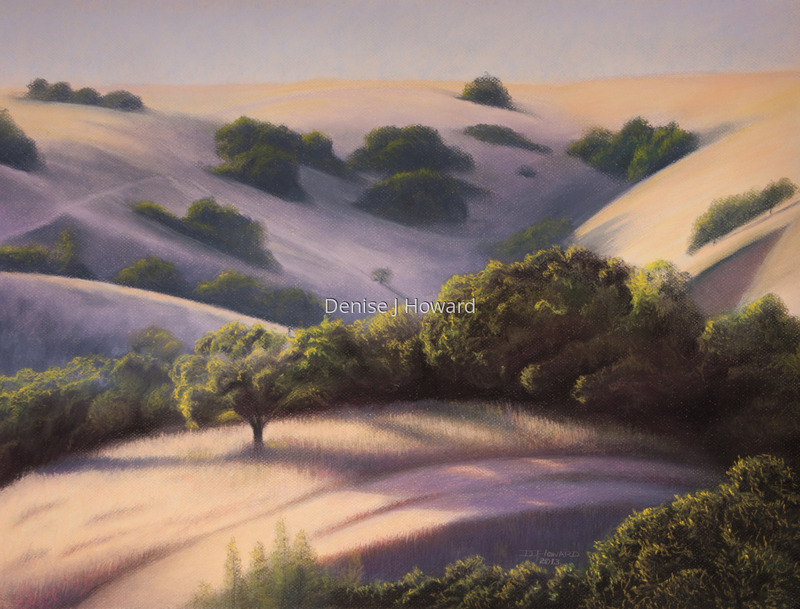 The play of light and shadows in the oaks and hills of California in the late afternoon never disappoints. I found these in San Benito county. Pastels on Canson Mi Teintes paper.